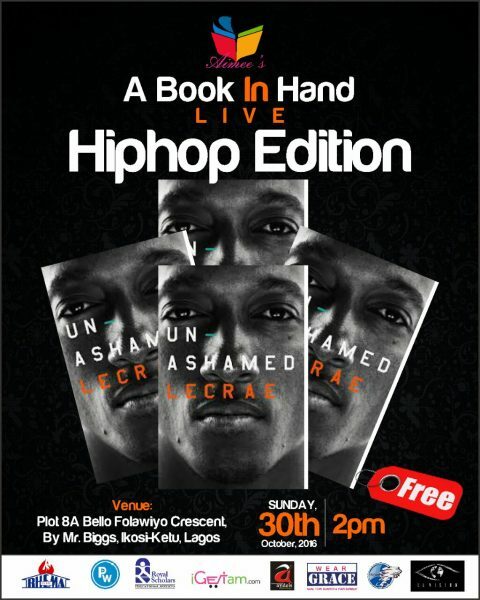 This year’s book review appeals greatly to all lovers of hip hop, as we delve into the life and experiences of two-time GRAMMY Award Winning Rap Artiste, Lecrae in his mind blowing best seller, Unashamed Book. Join other amazing hip hop artistes like Sokleva Hughes of Rooftop MCs, Ami (Provabs), GAMiE, and many more as we dine and read between the wines, together with compere extraordinaire, TOLA @spiceonthemic and the best DJ A’Cube on the wheels of steel. Our kids are not left out as they engage in a “readathon” on as many books, for as many hours as they deem capable. This event is totally FREE and it promises to blow your mind!